news Join us at HIMSS 19, in Orlando, February 12-14! Join us at HIMSS 19, in Orlando, February 12-14! Have your cake, and eat it too; when you come join us at HIMSS 19, booth#3527. We will show you why LabOS is the only solution your lab will ever need. HIMSS19 Global Conference & Exhibition takes place from February 12 to February 14, at the Orange County Convention Center, Orlando, FL. Meet our team, watch a free demo, and discover LabOS’s latest product innovations: from full Excel functionality within LabOS, to how we prevent duplicates in our system to maintain patient-centricity. And of course, pick up your free cake If you want to book a meeting in advance please contact us at info@stms.co.il. 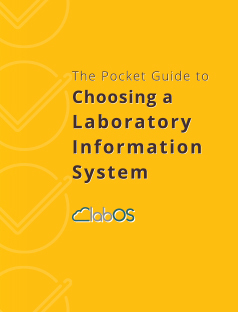 We will also be giving away The Pocket Guide to Choosing a Laboratory Information Software. See the exclusive digital print here! We look forward to seeing you at booth #3527!